HASTA A LA PROXIMA! UNTIL WE MEET AGAIN! El tango te espera… Tango is waiting for you, for an entire Thanksgiving weekend or just for the Saturday show, where children 17 and under have free admission. Grammy-nominated Emilio Solla’s Tango Trio, with Emillio Solla /piano; Maestro Raul Jaurena /bandoneon; Pedro Giraudo / bass. 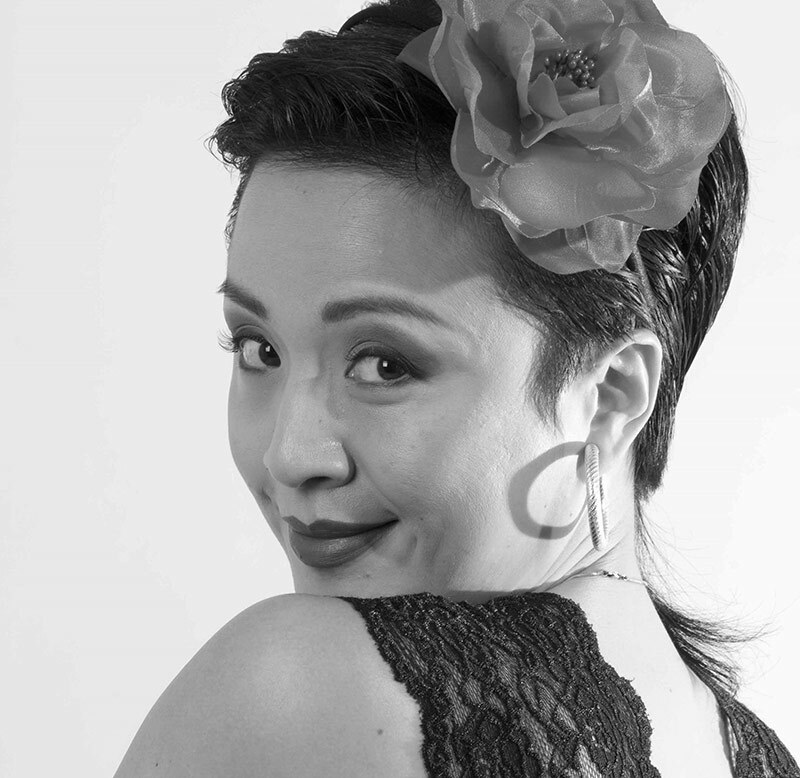 The group appeals to both jazz and tango aficionados alike as Solla is well known in Jazz circles, having performed all around Europe, Japan, the US and Latin America to rave reviews in many of the most important Jazz houses and Festivals (Bim Huis, Lincoln Center, Marciac, Blue Note, Fasching). 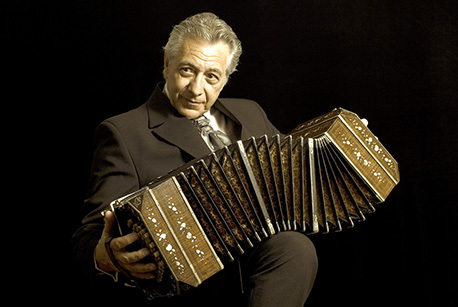 Raul Jaurena is virtuosic on the bandoneon and is a musician of historic importance in tango. 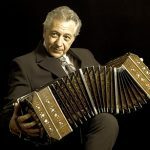 As noted in his bio, Jaurena’s music reflects the influences of different cultures as well as one hundred years of tango history with all its contradicting emotions. 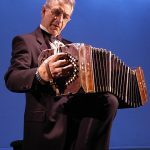 Jaurena – the man that Astor Piazolla once called one of the greatest bandoneon players ever – has established a unique connection to his instrument: Genuine, open, touching, with stunning technical brilliance his play has enriched and added an important facet to modern tango interpretation. 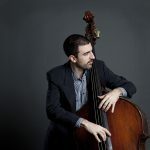 Rounding out the trio is Pedro Giraudo, whose compositions combine his love of classical forms, Argentine tango and folk music, and the spontaneity of jazz improvisation. Masters of Argentine tango: Alejandra Armenti & Daniel Juarez (Buenos Aires): For their artistic contributions beginning with the National Folklore Ballet of Argentina and reaching out to an entire world, Alejandra and Daniel were celebrated by the City of Buenos Aires and Argentina for years of artistic trajectory ; Sara Grdan ( Croatia) & Ivan Terrazas ( Mendoza, Argentina) are passionately dedicated to Argentine tango. Energetic, skillful and artful, they are among the most recognized performers and teachers in the world of Argentine tango today. 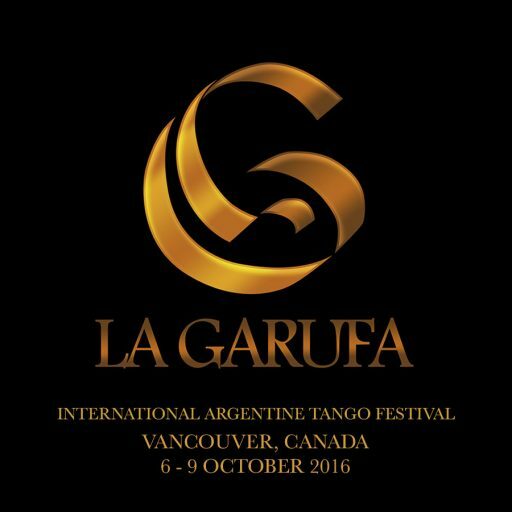 There’s a stereotype of tango we associate with the showy theatrics of touring shows, like Forever Tango, but tango as danced in the social halls of Buenos Aires is what La Garufa will feature and Vancouverites will have a chance to learn this style in a series of 4 workshops for beginners, taught by first class tango instructors Alejandra Armenti and Daniel Juarez, from Buenos Aires; and Sara Grdan (Croatia) and Ivan Terrazas (Argentina). Try one or all as you wish: the beginner package or individual classes. To promote Argentine tango dance and culture. To preserve unaltered the essence of Argentine Tango dance, music and culture. To support the creation and production of new artistic work by emerging and established artists. To contribute to the professional development of those artists. To foster the empowerment of people and respect for cultural diversity. To encourage collegiality, friendship and mutual respect. No tango festival was ever possible without the generosity of volunteers. We believe in people’s inherent goodness, integrity and potential. 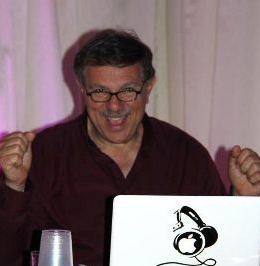 Por mas que caiga del cielo el mas tremendo aguacero vos sabes que te esperamos para que bailes primero. We bring to you the best dancers and teachers in Argentine tango. Alejandra and Daniel both began the study of dance at the age of 6, in folklore, classical, jazz and tango. Their professional career took flight in the National Folklore Ballet between 1991 and 1997, company which brought them on the most prestigious stages of Buenos Aires, such as Teatro Colon, Cervantes, San Martin, Luna Park. 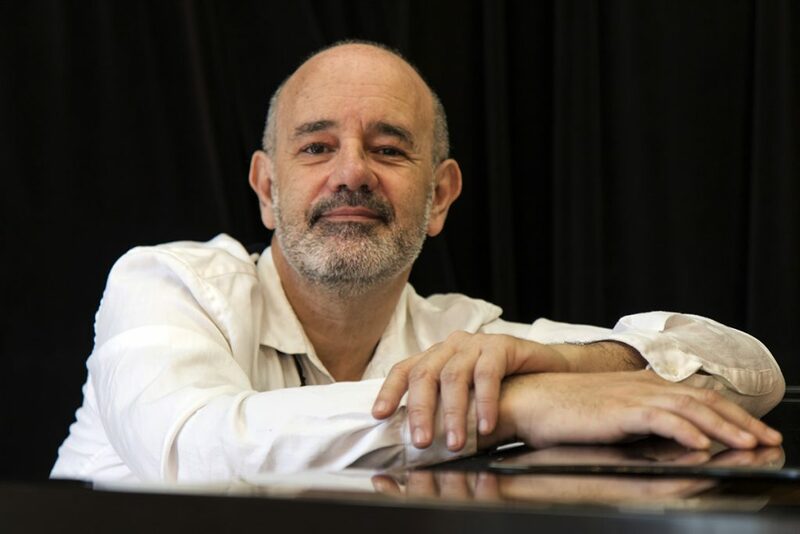 From 1997 on they began working as a soloist master tango couple, touring the world ( Brasil, Mexico, USA, China, Russia, New Zeeland, Turkey, Japan, all of Europe) while in Buenos Aires continued performing in well-known tango stages such as La Ventana, Taconeando, Esquina Carlos Gardel, Hotel Faena ( Rojo Tango). Between 1998 and 2001 were integral part of La Nueva Compania Tangueros under the direction of Mariachiara Micheli with whom participated in the most important dance festivals, among which was the Torino Fiat Centennial, and with an audience of thousands. They continued to tour Italy, Switzerland, USA. Summer of 2002 brought them working in ‘Prefumes de Tango’ with Compania Tango x 2 directed by Miguel Angel Zotto. In August 2003 they created their own company called Corporacion Tangos. They took their company performing in many, many shows and all over the world. In 2007 Corporacion Tangos was elected best group choreography to perform at the World’s Championship Finals for the stage category in front of an audience of 5000 people. 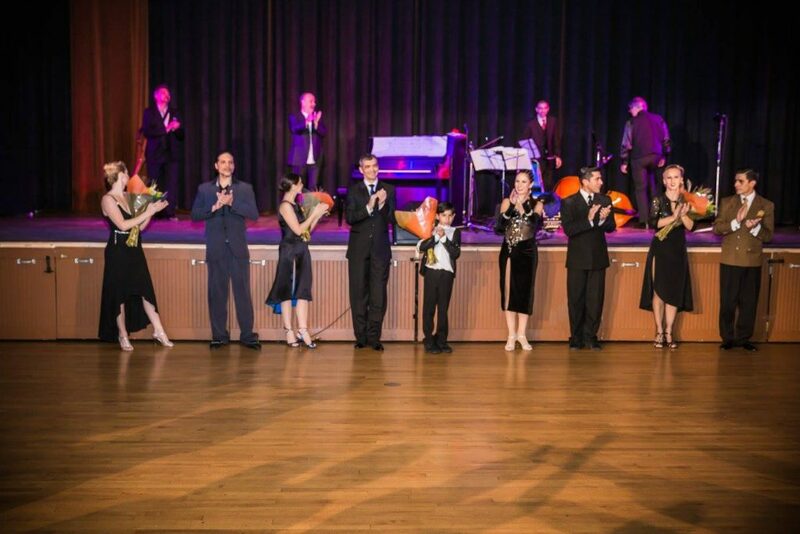 In 2008 Alejandra and Daniel were elected as choreographers for the closing night of the World Tango Championship where they directed 20 dancers performing on live music by the Osvaldo Berlingieri orchestra. Also in 2008 they had a very successful season in the theatre El Cubo. 2009 was another busy and very successful year for Alejandra and Daniel, bringing them more career rewards: They arrive on the famous Avenida Corrientes, in Teatro Broadway with their show, Vibraciones del Alma where they performed for 5 consecutive months and received excellent reviews. They performed in a gala organized in the honour of Mrs. Christina Kirchner, President of Argentina. They were chosen by the CID UNESCO to represent tango as Intangible Patrimony of Humanity. In 2010 and 2011 Alejandra and Daniel participated in the Festival International de Tango de Todi, Italia. In December 2012 the Government of the city of Buenos Aires invited them to perform at the closing ceremony of the National Day of Tango, on a large stage, for an audience of several thousands. During 2010, 2011, 2012 they toured extensively as masters of tango throughout Europe: Italy, France, Russia, Switzerland, Turkey. 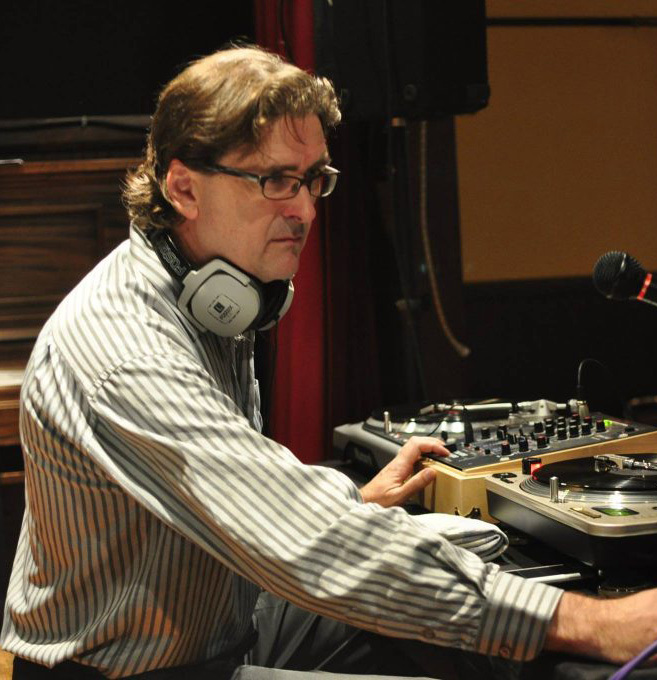 Between October 2012 and March 2013 they had the ‘Farewell Season’ for their show Vibraciones del Alma in the Cultural Centre Borges, Buenos Aires. In August 2013 the Government of the City of Buenos Aires celebrated them and paid them homage for 10 years of artistic trajectory. The celebrations concluded with a performance in Luna Park at the opening of the night for the World’sTango Finals. “Stage tango for the Salon Tango Dancer” and “Salon Tango for the Stage Dancer”. Diario Clarín: “Un trabajo exhaustivo, atractivo y además muy original.” – A work exhausting, attractive and also original. 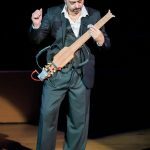 entre tradición y modernidad, es un reto difícil de superar en propuestas de este estilo, puede decirse con certeza que Armenti y Juárez se acercan al balance ideal” – “With them, tango can be even original. To succeed a balance between traditional and modern is a difficult challenge to overcome in such style proposals. It can be said with certainty that Armenti and Juárez come very close to the ideal balance. Kinetic since an early age, Sara studied regional folklore dance and classical ballet technique in Zagreb, Croatia. Her obsession with Argentine Tango started in the late 1990s at the milonga, and she subsequently learned Argentine folklore. In order to better understand body mechanics and to teach movement technique, Sara also became a GyrotonicÒ and GyrokinesisÒ instructor. Ivan and Sara met in New York City and have dedicated themselves with passion and intensity to Argentine Tango. 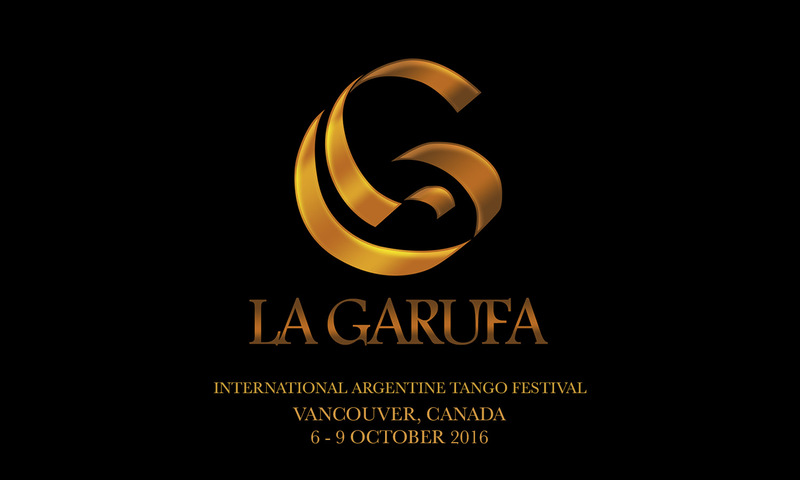 Trained primarily by Diego DiFalco, Pablo Pugliese and Natalia Hills, and also drawing from many other influences, such as Jorge Torres, Roberto Herrera, Guillermina Quiroga, Gabriel Misse, Carlitos Perez and Raul Bravo, together they are among the youngest and most recognized teachers and performers in the world of Argentine Tango. After living for 7 years in United States and Argentina, Ivan and Sara are currently based in Europe, and in addition to being members of the prestigious company ‘Tangueros del Sur’ directed by Natalia Hills, they have recently performed with ‘Tangox2’ and ‘Miguel Zotto in Concert’ directed by Miguel Angel Zotto, ‘Obsesion Tango’ directed by Tamara Bisceglia, and ‘Compania Roberto Herrera’ directed by Roberto Herrera. In addition to their theatre credentials, Ivan and Sara are festival and workshop favorites, and have participated, among others, at the Belgrade Tango Encuentro, Sultans Tango Festival in Istanbul, Perugia Tango Festival, and Puerto Rico International Tango Festival. Their latest project involves creating a curriculum for the online tango video instruction giant Tangomeet. Ivan and Sara’s online teaching videos will appear in the spring of 2016. 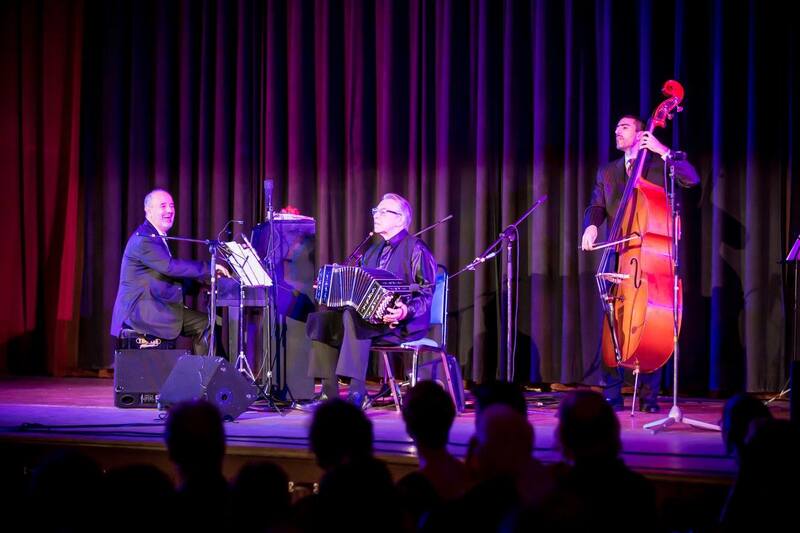 They will absolutely delight us with music in the show and will play danceable tango in the milonga following the show. Lovely Vivian Konstantakos is a world citizen, who loves dancing as much as loves DJing. As a dancer she can’t keep her self off the floor. When she DJs her intention is to keep the dancers on the floor in a tango high, in the tango buzz, one song at the time. We are so happy to have the contagious bubbly, energy-filled, tango-fired personality Vivian among us during this special weekend. Got addicted to Tango in the late nineties. 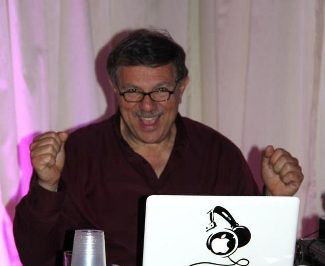 It started with dancing and now it includes being a DJ. 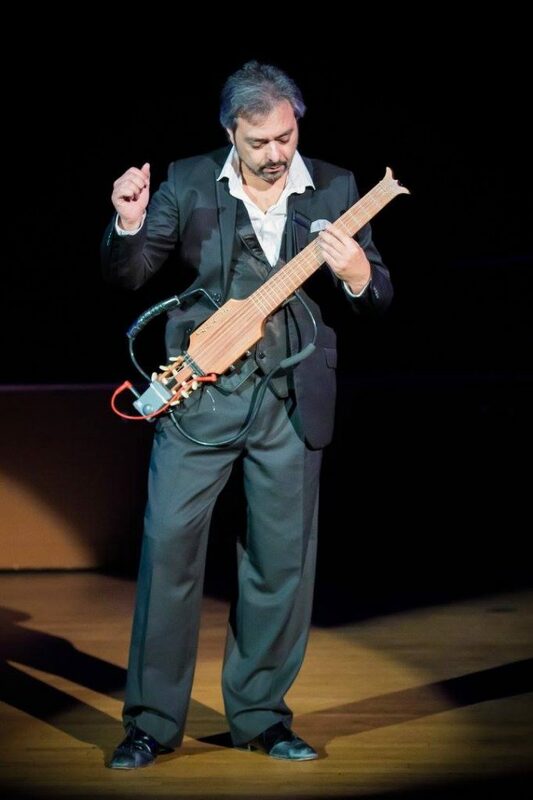 Tango music occupies my thoughts and energizes my spirit and I am in constant search for good music. Although I try to vary the music I play, I am heavily influenced by the style of dance in Buenos Aires as well as the music played at the milongas there so feel free to call me old fashioned. I live for Golden age music. The emotional impact of the music is what I look for in addition to the musicality. Oddly enough, alternative music has also become a big interest especially world music. Now I DJ both categories at various festivals as well as locally in San Diego. 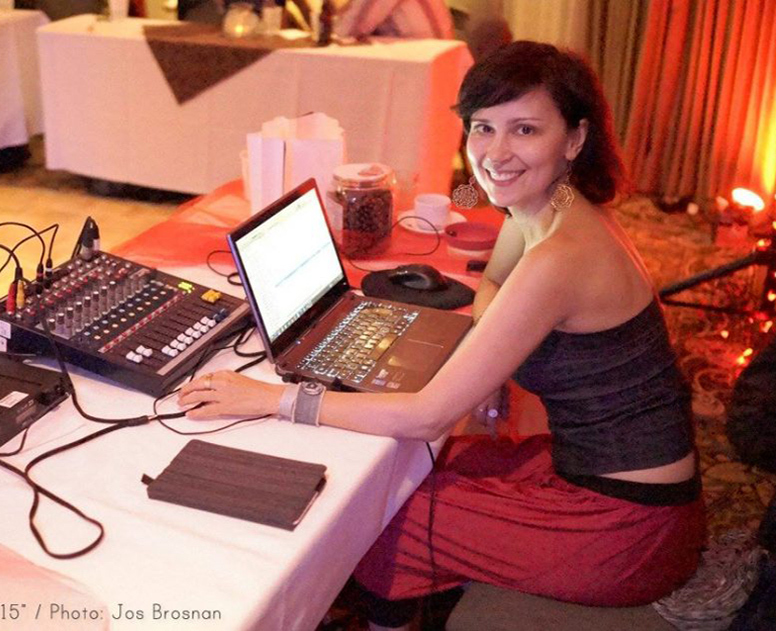 Tatiana Balashova, a dancer herself with 13+ years of Argentine tango experience, has been been DJ-ing on regular basis since 2009 at various milongas in Vancouver (traditional and alternative), and at some special events in North America (San Diego Tango Festival 2012, 2013; Milonga Querida (LA, USA), Milonga LAX (LA, USA), Milonga La Vida (Seattle/Bellevue, USA), Montreal Tango Nuevo Festival 2011 (traditional, alternative), Vancouver Tango Marathon 2012, Magic Tango Weekend 2011, 2012, La Garufa Festival 2011). Her DJ-ing style is to look for music which fits the moment best depending on dancers & ambiance. She likes to combine the tango music of golden age with some personal touch & cortinas for a variety of moods. 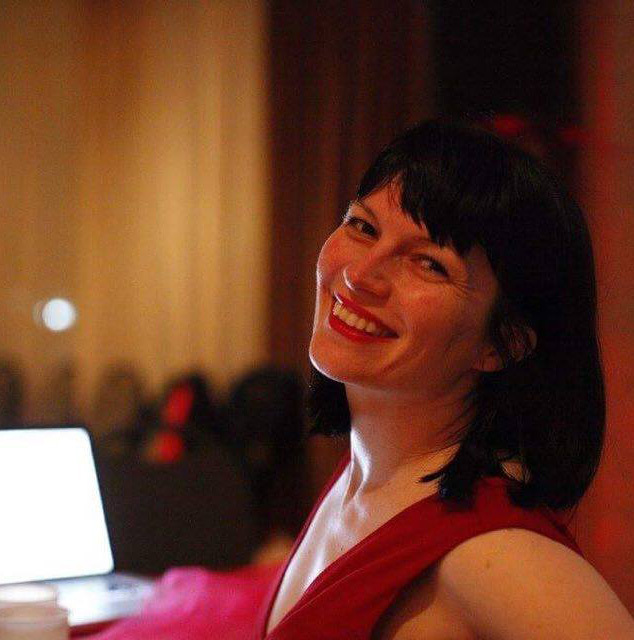 She enjoys creating a positive, romantic and relaxed & yet dynamic atmosphere so that enthusiastic dancers are inspired to keep on dancing every tanda and newcomers can’t wait to get on the dancefloor, whether it is an evening, a late night or a matinee milonga. Tatiana is experienced in DJ-ing any ratio of traditional music and alternative music including purely traditional or purely alternative/ neo. 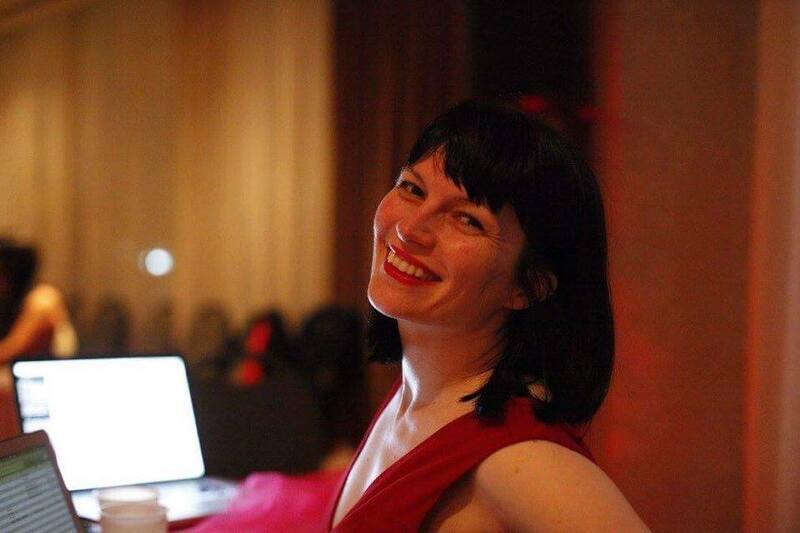 Jessie has been a dedicated and faithful presence in our tango community for many years. Throughout this time, she has shown much generosity towards all of us, and she has shared her music and her love of tango. Her greatest joy is to see the seats empty and the rondas flowing. Robert began dancing tango in 1995 and has participated in the development of Portland’s tango scene since near its beginning. Robert has spent significant time in Buenos Aires studying with older milongueros. Important influences were Cacho Dante, Nestor Rey, Ricardo Vidort and, most significantly, Tete Rusconi. Other important teachers of the younger generation have been Julio Balmaceda and Corina de la Rosa, Silvina Valz, and Alicia Pons. His work with Alicia helped him develop a much deeper understanding of tango movement and musicality. 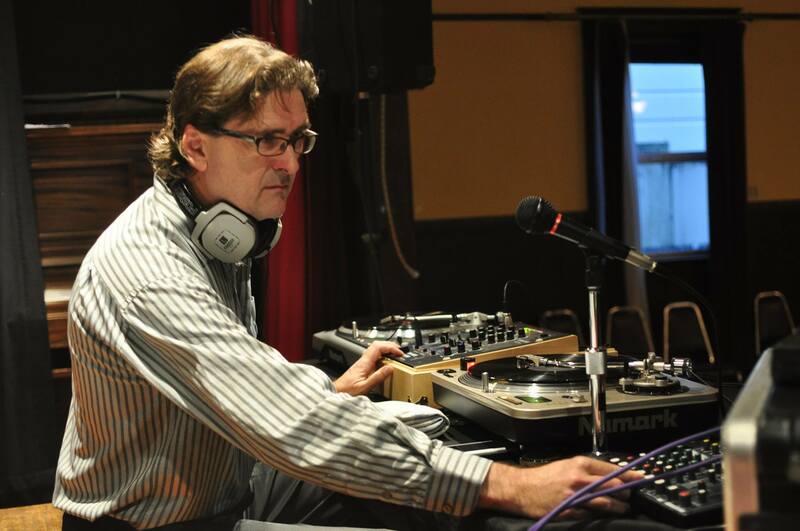 As a DJ Robert is known for his knowledge and love of classic tango music, and has DJ’d at festivals around the country in addition to hosting and DJing his own long-running Monday milonga in Portland. 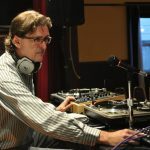 Gregory (Grisha) is a classically trained, concert-level musician, professional dancer and DJ. For years, Grisha was teaching and performing with Daniela Arcuri, renowned tango dancer and teacher from Buenos Aires, with worldwide tango experience. 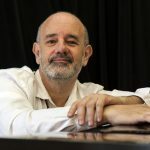 He maintains an active touring schedule with tango classes, performing as a soloist and as a chamber musician, and giving his unique Concert-Lecture-Class about the “Structure of Tango Music”. We are happy to welcome Grisha at our festival and look forward to his music and his presentations. 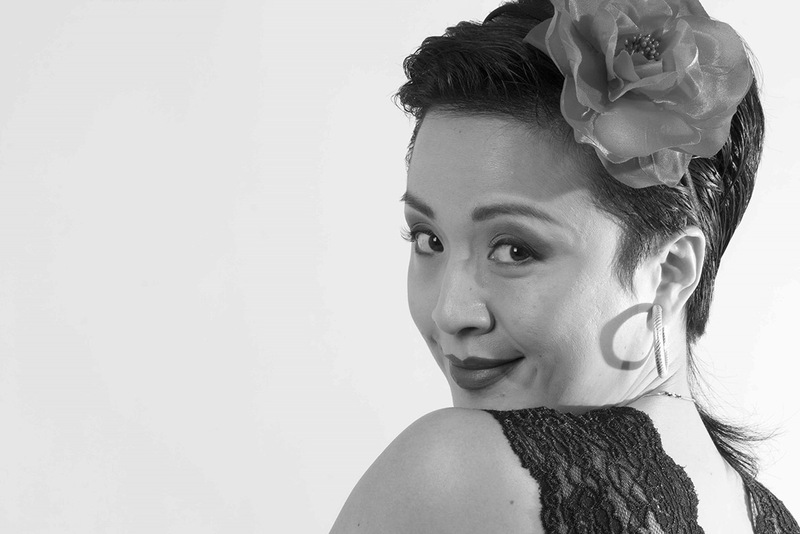 A long-time dedicated tango dancer herself, DJ Marina always puts dancers’ interests first. She believes that her dancers deserve only the finest music where melody, beat, nerve, strength, and character are all balanced to perfection to please dancer’s ear and feet. She is known for her carefully selected, storytelling, mostly traditional tandas, sometimes with unexpected touch. 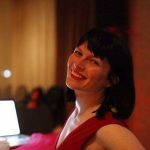 Her ultimate DJ’s goal at the milonga is to see every single person in the room on the dance floor, and her success measure is a number of dancers wanting more at the end of the night. Marina is currently based in Vancouver, Canada. She was introduced to tango in 2003, and her affair with tango music quickly evolved into passion for DJing. 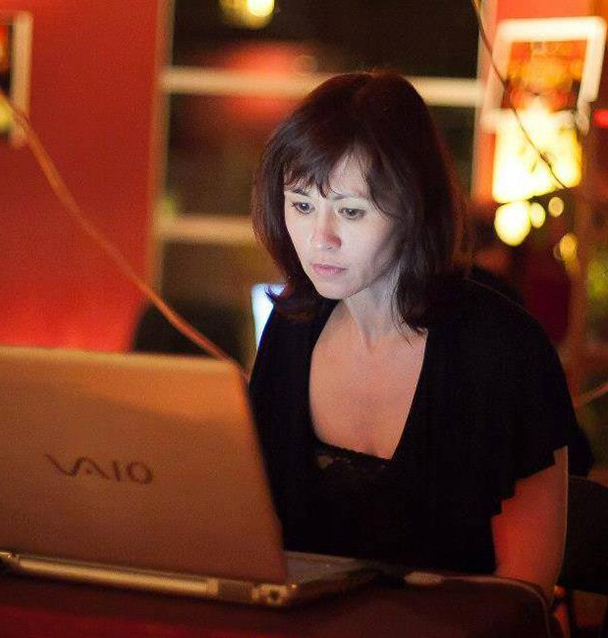 Since 2007, she served tango communities at the milongas in Canada, USA, and overseas. 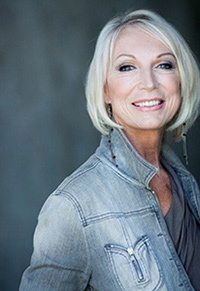 Pia Shandel has been a part of Vancouver’s media life for many years, through television, radio, newpapers, magazines and live events. From her early days as distaff host of the ‘Vancouver’Show on Channel 13 to her present incarnation on podcast ‘Route66’, Pia has always been spotting the trends in Vancouver life. 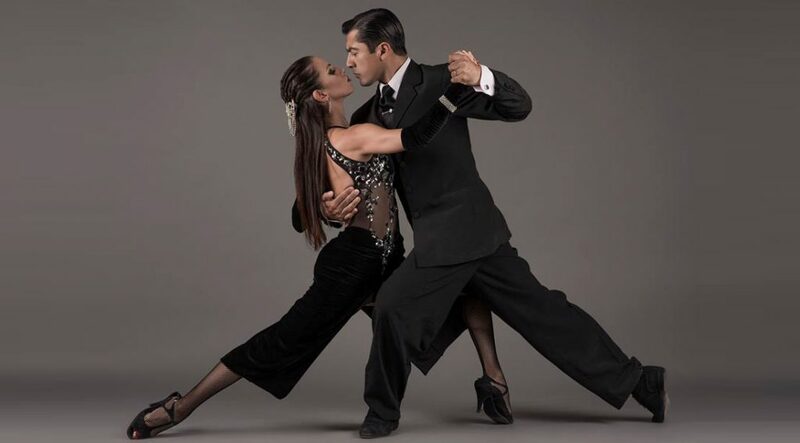 After a trip to Buenos Aires which introduced Pia to Tango, she has been seeking to improve her skills in this beautiful dance, and support and encourage the tango community in Vancouver. It’s never too late to express the deep inner feelings that tango touches in all its dancers! Welcome to La Garufa! Sharing the passion of dance with people of all ages is the driving force of Sara’s life’s work. 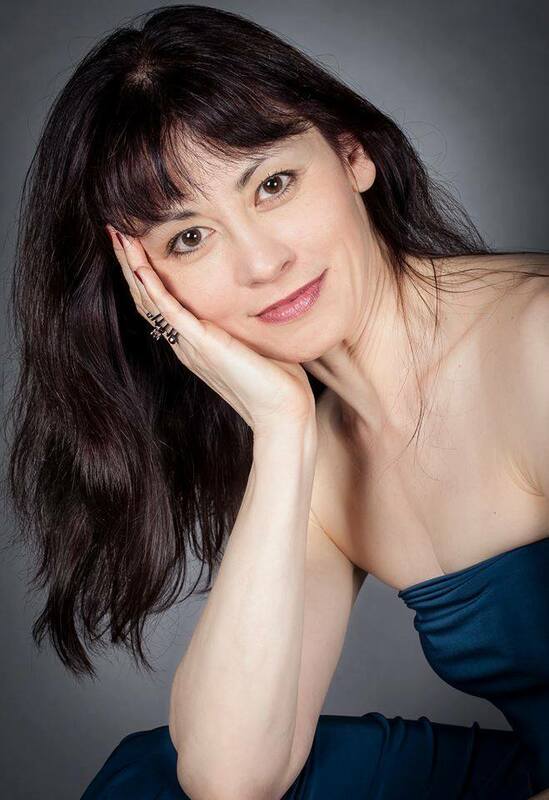 Having studied a variety movement styles (ballet, jazz, modern, karate, yoga, contact improv, ballroom, salsa, swing, and argentine tango) she blends over 17 years of experience in arts to help students find connection, expression, and joy in any style they want to pursue. Sara travels the country and world teaching and learning the art of dance. Well respected locally for her integrity and professionalism, Sara continually works to build community through dance and yoga around the area’s studios, schools and dance halls. 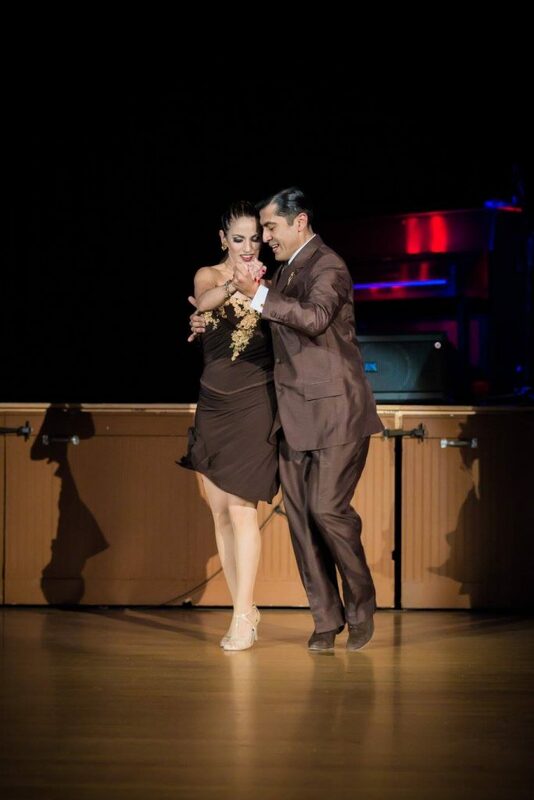 Originally from the province of Mendoza, I inherited my love of tango from my grandparents. They organized milongas in their home and I grew up watching them dance and listening to tango after tango on my grandfather’s record player. At 18 I began to study tango, classical and contemporary dance and theater. 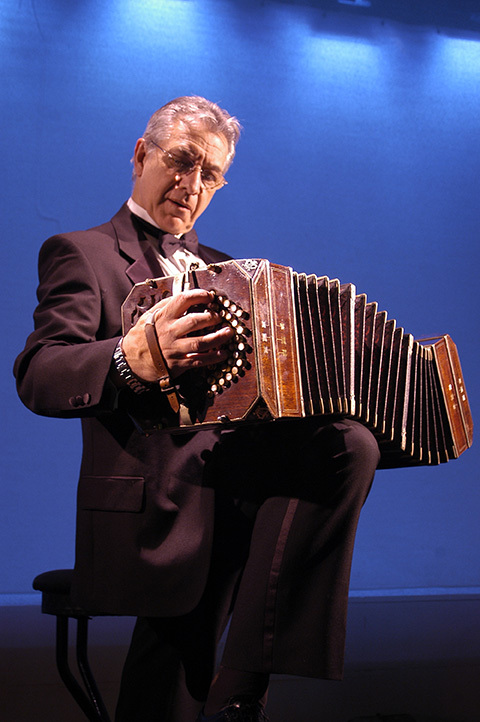 I organized several milongas in Mendoza and San Luis and I directed, choreographed and danced in various tango shows, including “Tangoneón”, with the renounced bandoneon player Juan Pablo Jofré Romarion, and “NN Tango”. I went on tour to Bolivia in 2006 with María Eugenia Gómez and the Tangastor quintet, in 2007 I participated as a contemporary dancer in the National Vendimia Festival and in 2008 I traveled to Chile as an invited teacher and dancer in the Valparatango festival. I moved to Buenos Aires in 2008 to perfect my dancing. There, I had the opportunity to study with distinguished maestros such as Carlos Gavito, Sabrina and Rubén Veliz, Guillermina Quiroga, “el Pibe” Avellaneda, Gustavo Naveira and Giselle Anne, Julio Balmaceda and Corina de la Rosa, Mariano “Chicho” Frúmboli and Juana Sepúlveda, and Pablo Verón. I have also worked as a teacher in the Escuela Carlos Copello, Julio Balmaceda and Corina de la Rosa’s Zarasa Studio and the Argentine branch of Pepperdine University. In 2012 I went on my first European tour, giving intensive workshops and performing in France, Germany and Switzerland. I currently teach three group classes per week in addition to private classes. 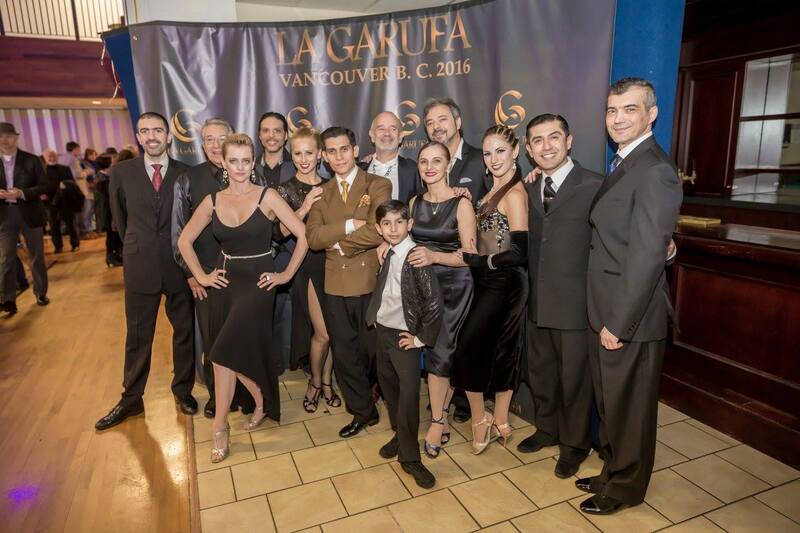 I am also co-organizer and teacher in the Milonga Antimufa and in October and November 2014 made a tour of Canada. In 2015 participates as a dancer of 24M under the Cambalache festival and also the dancing Tango Show Añoranzas entire 2015 season. Our story is like that of many others who discovered tango and never looked back. Partly rooted in childhood and partly acquired, tango holds a special place in our hearts. We believe that Argentine tango is one of the reasons why the world can be a better place because it reminds us again and again to stay human and compassionate. For many tango may represent many things. To us it means family and it evokes the nostalgia of times past, present and hope for the future. We are the hosts of this festival and we have taken on this project to give our city and our community here a beautiful Thanksgiving weekend and an opportunity for new experiences and learning. 19:00 – 20:15 SHOW TIME! If you paid online, you may pick up your package now. If you missed the online registration and want to take the class, you may pay at the door. Please arrive early to avoid last minute crowding. If you are NEW TO TANGO, here is the suggested dress code for classes: well groomed, dress for comfort and appearance; wear comfortable, clean, non marking shoes. Please do not bring your street shoes on the dance floor. “Most dear actors, eat no onions nor garlic, for we are to utter sweet breath.” – William Shakespeare. 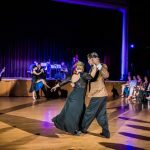 Are you curious about Argentine tango? This is the first class recommended in the Beginner Package. Understanding the body: body position / stance; weight; pivot; embrace. Different exercises related to the topic of the class. First steps. Suggested dress code for classes: well groomed, dress for comfort and appearance; wear comfortable, clean, non marking shoes. Please do not bring your street shoes on the dance floor. Dance until late. Light refreshments, wine and great music in a beautiful venue with wooden sprung floor and great sound system. 11 PM Welcome: a brief demo showcasing the participating tango masters: Alejandra Armenti & Daniel Juarez; Sara Grdan & Ivan Terrazas. Drop in and dance tango from traditional to nuevo or alternative rhythms. Perfect sequel for the musicality class. Discovering new layers of familiar songs and loving them in their new light. Room A is the cosy space on the top floor, adjacent to the foyer. This is the second class recommended in the Beginner Package. If this is your second lesson, enjoy the material presented this time by Ivan and Sara: Argentine tango from a different perspective. An opportunity to work more on your freshly acquired basics. Sara and Ivan present their 1st class of their Foundation Material: introducing and / or reinforcing basic tango technique. If you did not purchase the beginner package you may still join the class ( space permitting). Please arrive at least 20 minutes early. Reminder – Suggested dress code for classes: well groomed, dress for comfort and appearance; wear comfortable, clean, non marking shoes. Please do not bring your street shoes on the dance floor. A long night of dancing in this stunning venue, with great music, light refreshments and cash bar. 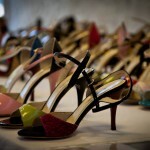 At 23:00 Fashion Show – New Eco Collection from Elena Uretskaya/ Tango Aura tangoaura.com. The very talented Elena is introducing her newest creations designed with the tango dancer in mind, all from natural fibre. (MAIN HALL) A & D Beginners: Warm up/ individual exercises focused on the topic 15′. The feeling in the embrace. Rocking movements. Guiding the dance and communication in couple through the contact from the torso. It is SHOWTIME! We invite you to take a short voyage with us through time and across continents to discover flavours and fragrances of Buenos Aires where Argentine tango holds iconic power. 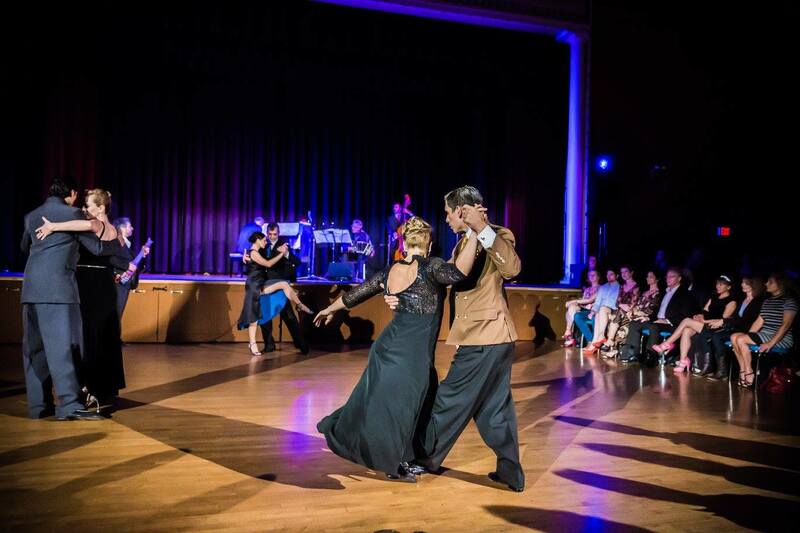 Enjoy the music and dance of Argentine tango as it evolved in time from many decades ago until the present. 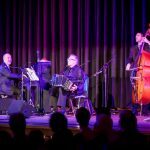 If you know tango, love tango, or if you are curious about it, or if you look for a pleasant late afternoon entertainment alone or with the entire family this one hour long performance promises you a good time for the Saturday of Thanksgiving weekend. You won’t regret it. (THE FOYER – upstairs) Martini time! Sample our signature La Garufa martini. Non-alcoholic beverage and other refreshments also available. This is a cash bar. Dress up. Dance until very late. Complimentary light refreshments and wine. ( MAIN HALL) S & I: This class is the last in the series recommended in the Beginner Package. 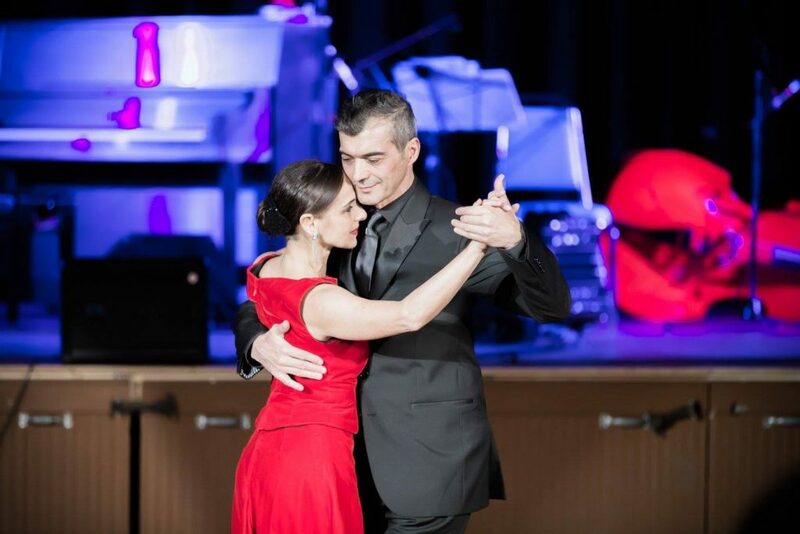 Sara and Ivan continue the topics in their Foundation Material: posture, balance, quality of movement; exercises and simple steps for improving connection and continuity of movement for the couple; the Tree of Tango, where it all begins and ends. 1:00 AM ALL NIGHT MILONGA: location – Tango a Media luz, upper floor at 2155 Commercial Drive ( the corner Commercial and 6th Avenue), at 10 minutes drive from the festival venue. 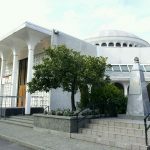 This is a 3000 sf space with wooden floor located on the popular Commercial Drive. The building is easily recognized by the lit bowling pin sign. Please note that this event is not included in the festival package. Cover: $10.00 at the door (cash only). Keep the engines going! Monday is a holiday and we plan to continue the party. Brunch at ( location TBA). A reunion post festival among all friends and artists who participated. Cost: pay whatever you consume. No cover. FULL PACKAGE: $500.00 /person or $950.00/ couple – It offers unrestricted access to ABSOLUTELY all activities: 23 classes to choose from, 7 milongas, performances, and Saturday show. Your full package comes with a complimentary shoe backpack, notebook and a t-shirt. BEGINNER PACKAGE: $200.00 / person or $360.00 / couple. ; or just buy a lesson or two, your choice. The perfect introduction for those interested in starting Argentine tango under the guidance of world-renowned Argentine masters. 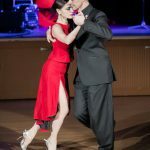 This package includes 4 introductory classes, 4 days and 4 nights of dancing and Argentine cultural immersion, the Friday fashion show, the Saturday show and pre milonga cocktail party. Please note that there is a registration limit of 25 couples for this package. If you prefer to buy only a class or two, please go to the ‘classes’ buttons and choose from the drop-down menu the number you with to buy. If you decide you liked it, you will be able to purchase the remainder of the package provided there is still space available in the class. These 4 classes are easy to find: look for the word BEGINNERS in the schedule. Suggested attire for classes: dress for comfort and appearance; wear comfortable, clean, non marking shoes. Please do not bring your street shoes on the dance floor. Your Beginner package comes with a complimentary shoe backpack, a notebook and a t-shirt. WORKSHOPS: (group classes): At the door: $35.00 CAD/ class / person; no discounts. PRIVATE CLASSES: are offered only for those who take a minimum of 2 group classes in the festival. STUDENT DISCOUNTS: are offered to full time students ( age 29 or younger) with valid student ID. If you are a full time student please contact us and have your ID with you. For registration the following methods of payment are accepted: ONLINE REGISTRATION IS NOW CLOSED. Registration documentation is not mailed, it will be available for pick up on site. Registration is not transferable. Full refund is accepted until September 1st, 2016, less processing fees. 50% refund is accepted until September 25th, 2016, less processing fees. No refund after September 25th, 2016. Please note that the Festival organizers are not responsible for last minute cancellation of any artist, should one occur. 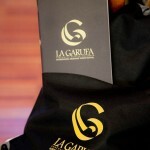 La Garufa Guest Special Rates available for a limited time! Stay in a quintessential Vancouver location – the vibrant West End, the real heart of Vancouver. 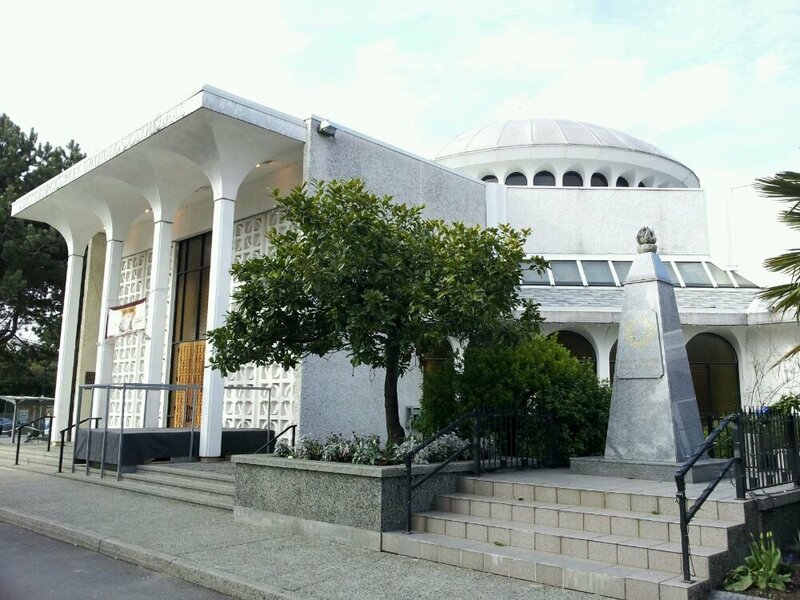 This 35-story moderate first class hotel is on Denman Street and 3 blocks from the English Bay seawall trail and very close to world famous Stanley Park. The hotel is connected to the Denman Place Mall with grocery and drug store for any basics you may need. If walking around Stanley Park isn’t enough of a workout, guests can stay fit at the hotel’s 50-foot indoor pool and the adjoining health club’s squash courts and yoga studio. Coast Plaza Hotel & Suite’s 199 apartment-size guestrooms offer step-out balconies and floor-to-ceiling windows plus desks, refrigerator and complimentary wireless Internet access. Available for a limited time and subject to availability – book by September 6! and quote this booking code to get the special La Garufa Guest rate. Born in the streets and growing to have a unique history with alternating phases of magnificence and ostracism, the Argentine Tango was recently declared by UNESCO Cultural Patrimony for Humanity. In this spirit we united our efforts to bring here the most representative talents of this genre. These artists have left a permanent mark in the history of tango and it is a privilege to have them in Vancouver. 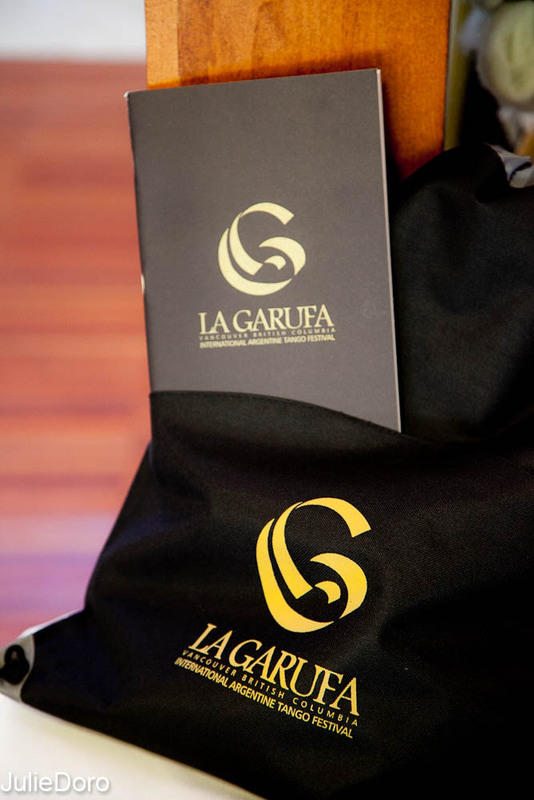 We believe that La Garufa is a great opportunity to support art and its cultural diversity in a country and city which pride themselves for embracing multiculturalism. We hope that our mission statement available on the website conveys the strong message we seek to deliver. If you think that this festival is something you would like to support, we would be happy to hear from you. Enjoyed La Garufa festival a lot! all the teachers were great, I hope I will remember the cool combinations I’ve learnt… Sexteto Milonguero music was FABULOUS!!! Performances impressive!.. Lorena Bouzas’ DJ-ing was great! (Friday night was my fav). Big thanks to all the partners I had fun dancing with at the festival, and special thanks to Angel & Ruben Veliz…Monica, Angel, the festival was a treat! “Exhausting and wonderful time at La Garufa International Tango Festival! A shoe strap mark around the ankle. “I am still in a tango daze …thank you so much for giving us La Garufa. It was a wonderful, I didn’t want it to end. The zamba performance by Ruben & Sabrina was beautiful and dancing to Sexteto Milonguero was fabulous. All the comments and photos of La Garufa have made me miss my tango community more fiercely than ever. It is abundantly clear that the festival was put together with boundless love and enthusiasm and generosity. I thought you should know that even though I was unable to take part (because of ongoing health challenges), I am nonetheless deeply touched by what you’ve accomplished. You are a gift to our community. I thoroughly enjoyed the milonga last night. Congratulations to you and all your staff and volunteers. Add a demonstration couple from Helsinki, Finland. On the surface this may sound crazy but Tango is hugely popular in Finland. But it is not Arg. Tango, International Tango, or American style tango. It is ‘Finnish Tango’. 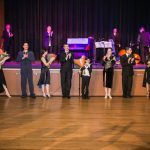 About 2 years ago I saw a 20 minute video article on Finnish Tango on the CBS program 60 Minutes. And, Finnish Tango is clearly Tango. The Finns dance their own Tango to the same tango music that you and I dance to. But it is different. I think that if you go to YouTube and enter ‘Finnish Tango’ there may be some examples for you to look at.